Building and automobiles during the rescue relief operation. 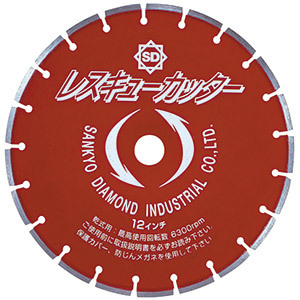 Able to cut various type of materials. No need to change the blade whatever you cut. Swift and accurate action under urgent sitiuation such as disaster relief. Caution: Rescue cutter is for immergency use. It is not suitalble for cutting wood or metal as regular operation.